Record payments or refunds against an invoice. Quickly record payments & refunds received against an invoice and show this to your customer using the “take payment” functionality. ⚠️ This guide is for Current RMS users who haven’t linked their system to an accounting package like Xero or QuickBooks Online. The option to take a payment against your invoices will only show up after you've added payment methods to your Current RMS system. 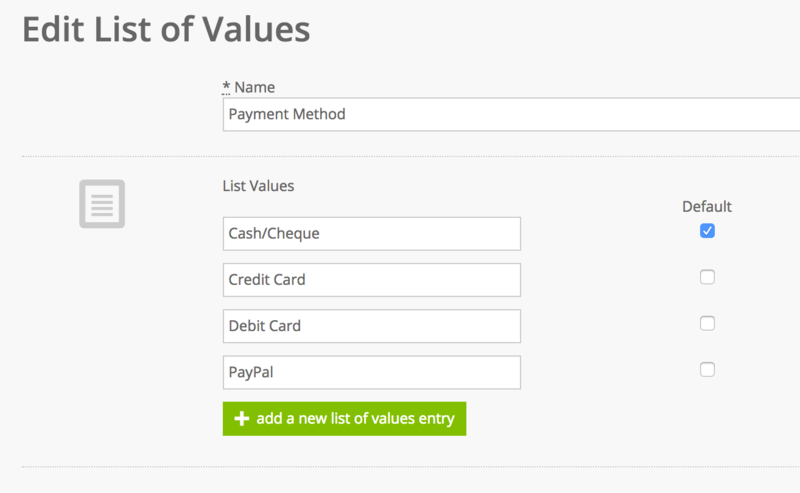 To do this, head to System Setup > List of values and edit the list called “Payment Methods”. On the next screen, use the green add a list of values entry button to add in a list of ways that you take payments. Choose one of the payment methods to be the default by ticking the box and click the blue Update List of Values button to save. Once you’ve set up payment methods, go to an invoice that you’d like to record a payment against and click Take Payment under Actions. Make sure it’s issued first. The “Take Payment” pop-up box appears. Choose a reference to identify the payment (e.g. “Deposit” or “Part Payment”), select a payment method from the list that you set up earlier, choose a date that the payment was received, and specify the amount received. Click the blue Take payment button to add this payment. When the total transactions on an invoice or credit add up to the invoice total, the document status automatically changes to paid. You can mark an invoice as paid or unpaid manually by clicking Mark as paid or Mark as unpaid under the Actions menu. You’ll see this reflected in the Invoices & Credits screen and on any associated opportunities. Once added, your payment will show up in the “Transactions” section on the left hand side of an invoice. You can amend a payment by clicking the blue arrow to the right of it in the list and choosing edit from the menu. Delete a transaction using the delete option in the menu. In the transaction transactions section, you can also add new transactions – including refunds. To do this, click add a new transaction at the bottom-right of the transactions section. The fields on this screen are the same as those on the take payment screen, except that you can now specify the transaction type at the top. Choose either payment or refund. When added, refunds show up as a negative line in your transaction list. 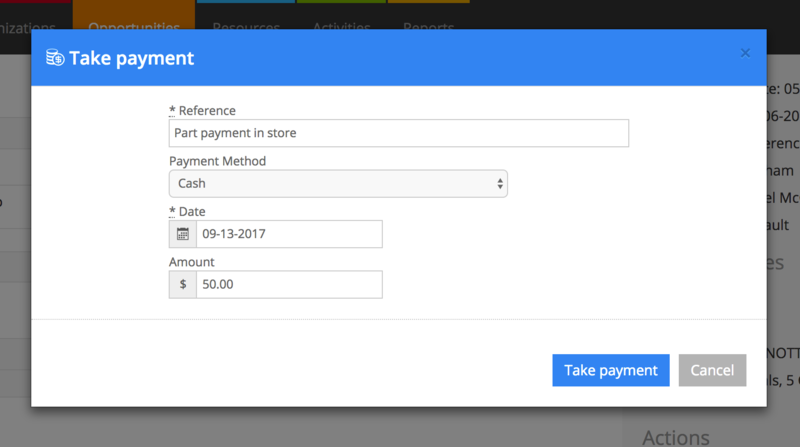 On our default invoice layouts, the total payments or refunds and balance to pay show up in the invoice totals section. Can Current RMS process credit cards? If you’ve integrated with Xero or QuickBooks Online, these solutions may provide integrations with third-party payment providers such as PayPal or GoCardless so you can get invoices paid once posted from Current RMS. Check with Xero or QuickBooks Online about available integrations.